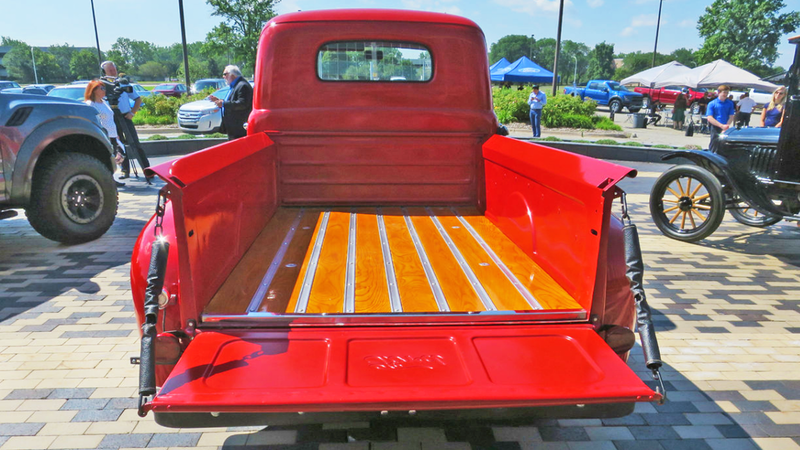 Daily Slideshow: Here's a look back at how the 1950 Ford F1 truck was offered back in the day. The 1950 F-1 models gave their customers peace of mind, and even if the battery died on them, the truck will always have a solution. When looking at the lowest bar of the front grille, you will notice a hole in the radiator support, which is a crank that allows you to crank the pulley and get your truck started, even with the battery dead. You just need to crank it right and watch it fire up. 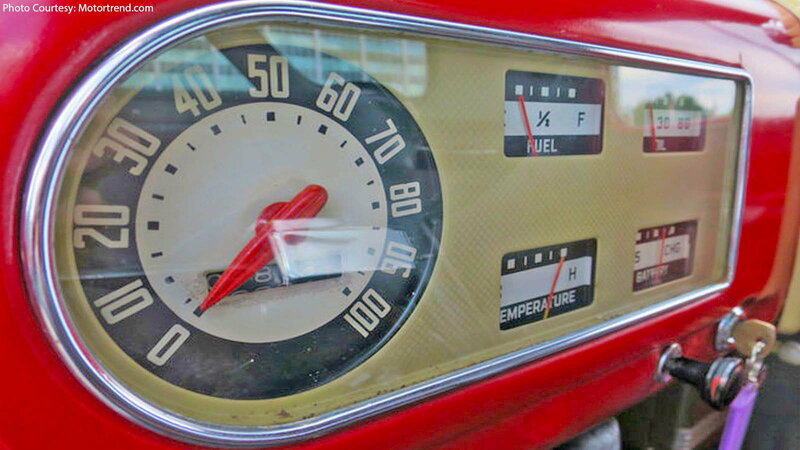 One of the prettiest sights in the cabin of this 1950 F-1 Ford truck is its Art Deco dash. The extremely simplified gauge cluster makes this cabin tremendously beautiful. The cluster features a speedometer, an odometer, a fuel gauge, an oil pressure gauge, a coolant temperature gauge, and a charging system meter; all in a very organized and simple design. 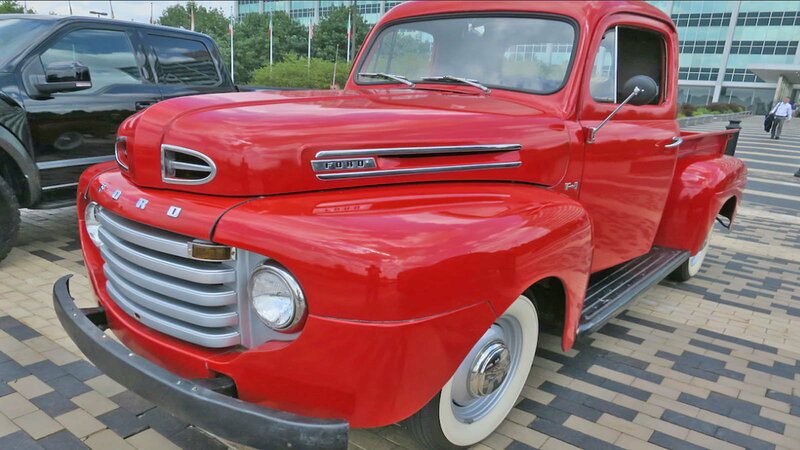 >>Join the conversation about this restored red 1950 F1 right here in the Ford Trucks Forum! 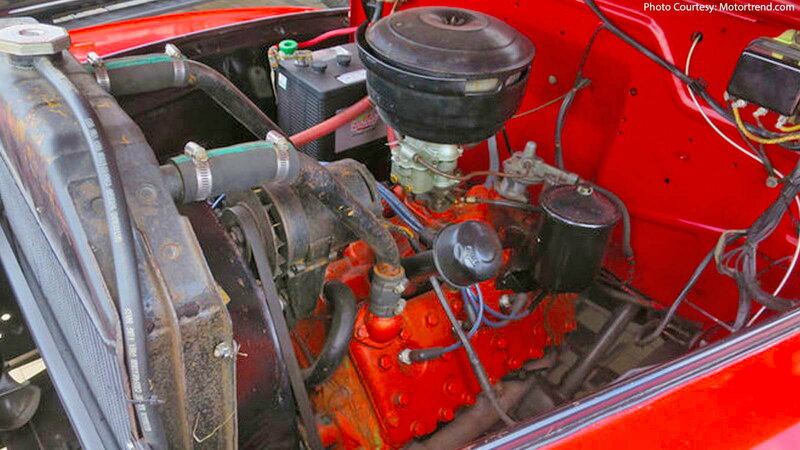 Under the hood of this 1950 F-1 is a big V-8 monster; of course, the monster didn't produce monstrous horsepower. The 239 cubic-inch flat-head delivered 100-horsepower and 176 pound-feet of torque. 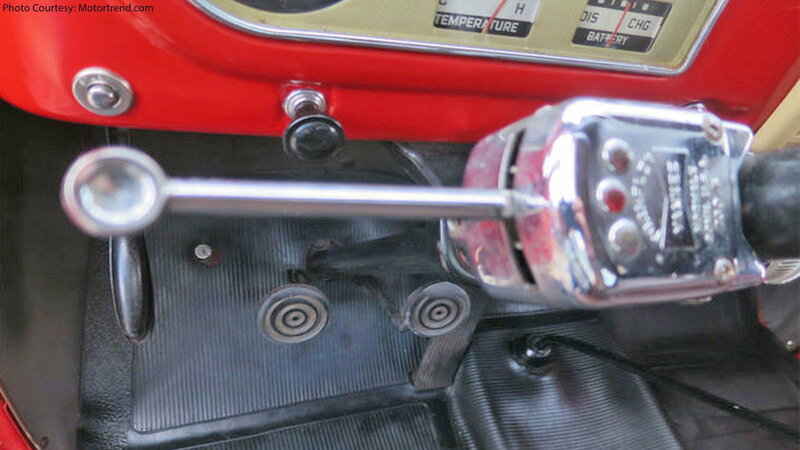 The engine works together with a three-on-the-floor transmission, which was engaged by a long-traveling clutch. Forget the navigation, seat-heaters, or the entertainment system in the back because, in 1950, the heater, the radio, and the turn signals were only options available. The turn signal and the auxiliary cab heater are believed to be manufactured by Firestone in collaboration with Ford. It wasn't always this easy to open the tailgate of a Ford truck, in fact, on this truck, it was quite the task. 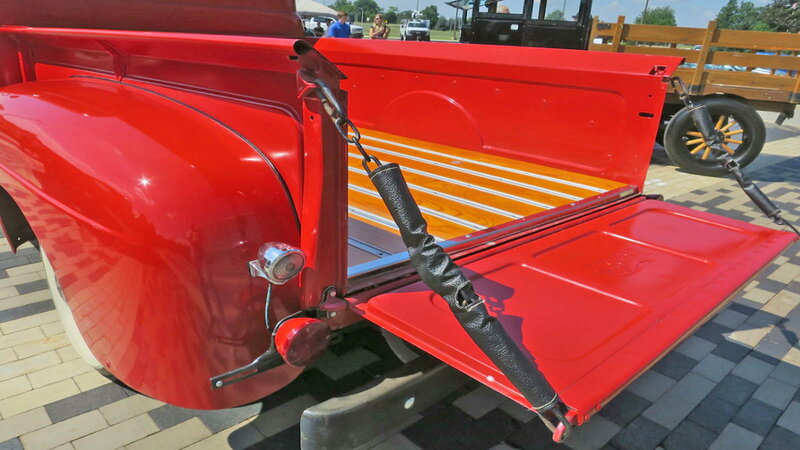 To open a 1950 Ford F-1 truck's tailgate, you need to remove a hook, slide the huge chain out of the way, and put the hook back onto the chain. Then you would have to go to the other side and repeat the same process. Once you're done loading up the bed, you would have to reverse the process on both sides, and throughout the entire thing, you must be wary to not scratch the paint with the oversized chains.